I got a big kick in the pants yesterday. My phone contract has been up since sometime in August. And my iPhone is older and it needs to be charged at least twice a day. Last time I updated my apps, I had to delete half of them. There was no room for all of them, my photos and my music. I was at the Liz with the cycling team for a final meeting. I was in the ladies room, in the stall, finished with my business and re organizing myself. I heard a thud. I turned around. My phone was in the toilet. Yep. Literally, in the toilet. I grabbed it. Tore off the cover and tried to dry it off. That was the last thing I did with the phone…. A haze appeared on the screen. The AT&T logo switched to No Service. I hopped in my car and raced to the Apple store. I needed to get there by 6 pm to get a new phone. And that’s what I did. I had been indecisive about which new phone to get. My decision was easy, once I was at the store. 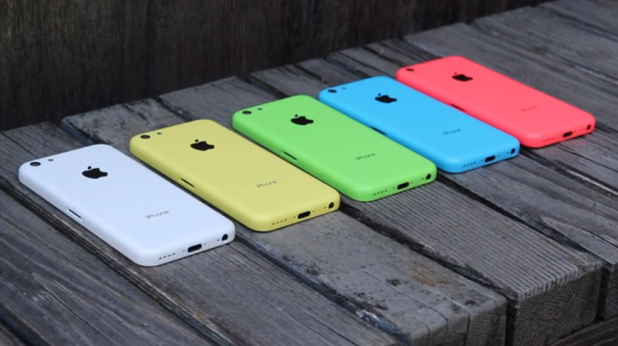 They only had the 5c models available. They couldn’t promise me when a 5s would be available, so I pulled the trigger. Isn’t she pretty? I love her. This entry was posted in I <3 the Internets, Shenanigans and tagged 24 months, Apple Store, contract, decisions, iPhone, iTunes, nasty fall, new iPhone, renew. Bookmark the permalink.